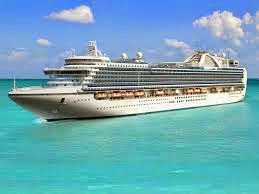 Both Mexico and Belize, nations dependent in many ways on America’s tourism and American business, shut their ports to a cruise ship holding a possible Ebola carrier. That possible carrier, a Dallas health care worker who handled lab specimens from the Liberian man who died from Ebola last week, has voluntarily quarantined herself in her room despite not showing any symptoms of the disease. Despite this assurance of the potential Ebola carrier that she has no symptoms (just as Thomas Eric Duncan had lied about contact with an Ebola victim when he lied to Liberian officials in order to come to America), both the governments of Mexico and Belize refused entry by anyone shipboard of that cruise liner. Therefore, although the actions of Mexico and Belize may be self-protective, these actions are also quite hypocritical in that they expect Americans to endure the sicknesses and problems their citizens bring, but close the door on Americans.